We don’t always show it, but it’s again been a rough and tumble legislative session. It’s become increasingly clear that there will always be efforts by some lawmakers to roll back the rights we have won. There will forever be attempts by others to stall progress for our community. But with grit and a steely resolve, we were able to prevent bills harmful to the LGBTQ community from passing. Our political strength on the Hill was again made very clear. Senator Hillyard introduced the most egregious anti-LGBTQ bill early in the session. Hillyard even publicly confessed that his motivation for the legislation was to prevent gay men from using surrogates — and he was willing also to strip legal protections from straight couples to do it. Equality Utah worked closely with our allies from the Infertility Resource Center and a phenomenal team of family attorneys to pack the committee hearing. After an hour of emotional testimony, Senator Hillyard realized the serious ramifications of his bill and withdrew the legislation. SB 138 was the most challenging bill of the session. 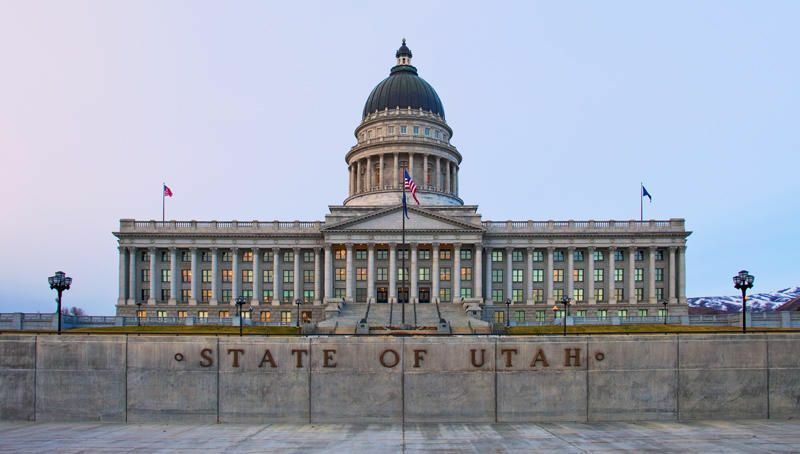 Senator Weiler crafted legislation that would have provided courts guidance on giving transgender Utahns a legal change on their birth certificates. We were making progress on this proposed bill until pressure from the Eagle Forum forced Weiler to introduce a substitute bill that stripped away the rights of parents to petition the courts for a gender change for their children. Had the bill passed, the state would have sent a harmful message to transgender children that they cannot legally exist. Working closely with TEA of Utah and the ACLU of Utah, we brought together several allies from Mama Dragons with trans children to lobby their legislators. After a spirited debate, the bill was voted down on the Senate floor. Though we regret we could not find consensus on the language, we couldn’t celebrate the passage of a bill that demeans our youth. We still have hope that a pending case before the Utah Supreme Court will provide the transgender community the legal remedies they need to live freely and authentically. “Victim Targeting” was the most frustrating of all the legislation this year. Senator Thatcher has become an intrepid advocate for hate crimes legislation. We had secured the support of every criminal justice organization in the state, including the attorney general. Nine cities and counties passed resolutions urging the legislature to take up the issue. Also, both Ogden and Lehi city councils passed resolutions during this session, but it wasn’t enough to persuade President Niederhauser and Senate leadership even to debate the bill in a committee. Their main opposition appears to be the issue of enumeration. Lawmakers don’t want “sexual orientation” or “gender identity” alongside the protected categories of “race” and “religion”. However, we know from national precedent that laws that fail to enumerate, also fail to be effective. If you don’t name them, you don’t protect them. The legislation remains stalled, as hate crimes in Utah and across the country continue to spike. Early in the session, the governor invited Equality Utah to join the Youth Suicide Task Force. Several outstanding bills were passed to provide additional support for mental health resources and crisis intervention measures in schools. Of specific interest to the LGBTQ community is the state’s commitment to finally begin collecting data on sexual orientation and gender identity in our school’s Youth Risk Behavior Survey and the Student Health and Risk Prevention Survey. We’ve been seeking this inclusion for a long time. These surveys are critical tools is assessing the scope and breadth of dangers posed to our youth. Furthermore, Gov. Herbert committed that Phase Two of the Task Force would specifically focus on LGBTQ youth, Native American, and veteran suicide. This is an ongoing work with no easy solutions. But it is heartening to have the state recognize the importance of uplifting these vulnerable populations. We will continue to work alongside Lt. Governor Cox and other key stakeholders to ensure proactive measures are adopted by the state. The 2018 legislative session reminded all of us that vigilance is key to our work moving forward. We can never take anything for granted. There will always be people working to roll back our rights. But thanks to you, we aren’t going anywhere. Utah’s LGBTQ and allied community is growing in strength. Many friends and allies stood with us this year to defend and protect Utah’s LGBTQ community from harmful legislation. We want to send a special shout out to Marina Lowe from the ACLU of Utah, Sue Robbins and Lucas Fowler from TEA of Utah, Shannon Minter from NCLR, and Professor Clifford Rosky for their tireless efforts during the session. Also, thanks to you for being actively involved contacting our lawmakers with emails, phone calls, and in-person lobbying. Without your continued activism and support we could not have the influence we do on Capitol Hill. Thank you for donating. Thank you for raising your voice. This work can be taxing, but we grow stronger when we stand together. But the real question is how they will be affected by Brexit!